Sometimes it is a distressing phone call in the middle of the night or an alert by a friend of a loved one something seems amiss. Whatever it is, the news can be devastating to finally realize a family member needs help. 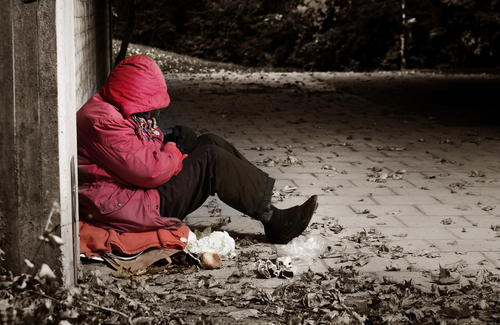 When faced with addiction and homelessness, it can feel hopeless without the support of family. Learn how to help a loved one who is struggling. In panic mode, it is easy to overreact to what has yet t happen. The urge to prevent risky events is powerful. Parents are programmed to protect children. Rather than react, it might be best to exert self-control and do nothing until things calm down. Better to think before one speaks and pray before one acts. The “Serenity Prayer” almost always provides solace in the midst of a storm. Learning how to prevent explosive arguments and nasty words with repercussions can guide a loved one towards a less frantic state of mind. Slowing down the pace of worry and obsessions is almost critical including reaching out to others for support as a form of self care. Learning that every step along the way is just a season, a stop in the road for today can be quite helpful. Living each day as it comes and taking quiet time to relax is helpful along with setting goals and making better decisions but leaving room for things to shift where needed. This includes keeping an open mind to all options. No family member wants to be faced with ‘that phone call’ or that crisis call from a loved one stating there is a problem and help is needed. It may be the first or one of many times this individual has done it. Whatever it is, know that there are tools, steps and support systems to help guide families through this situation to better help (not enable) the loved family member to seek necessary help and support them through this difficult time. Hired Power is here to provide support for loved ones in crisis. If your family member needs help, call us at 800-910-9299 to find out more on our options and resources available to you.